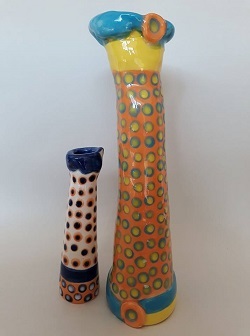 These quirky vases are made by Maggie Treweek from Vanadium Studios. Thanks to Richard Naylor on the Studio Pottery FB group for the info. The smaller vase has the MT mark without the NZ.